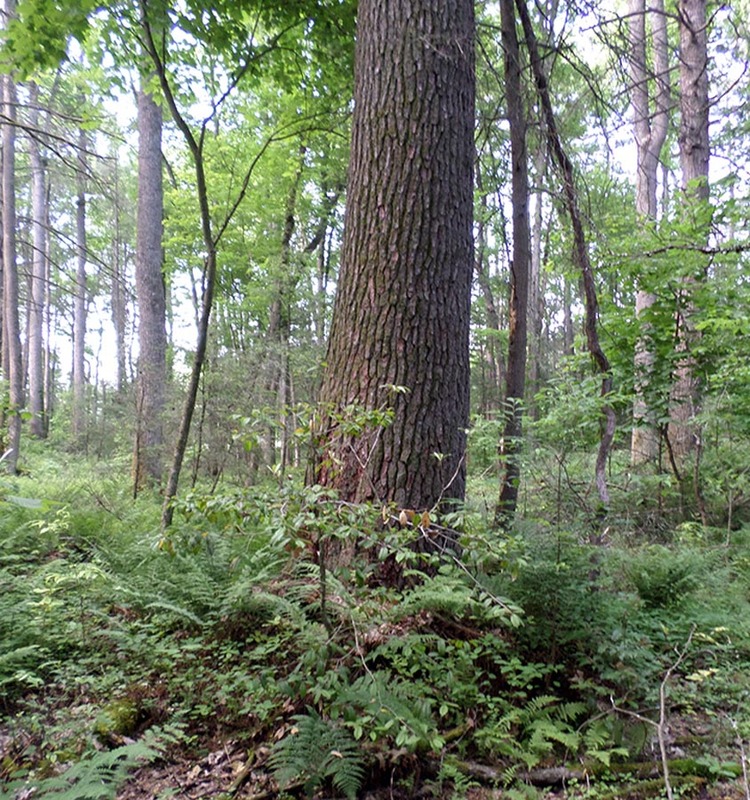 Wright Forest Natural Area is the only known example of an extensive white pine and hemlock pre-settlement forest, which originally covered much of the floor of Shady Valley in Johnson County. The forest is part of a working “century farm,” having been in the same Wright family from a land grant dating to the late 1700s. One of the earliest stewards of this farm was Celia Brown Cole, daughter of the original settler in Shady Valley. Shady Valley was extensively logged at the turn of the twentieth century, with white pine yields from the forests exceeding one hundred thousand board feet per acre, reportedly the highest yields ever reported anywhere for this species. Wright Forest Natural Area is the only known remnant of this original forest and covers fifteen acres. Many of the white pines and hemlocks now growing in the forest exceed 150 years of age. One noted tree, felled by natural causes, was reported to have been over two hundred years old. The forest was included on the Tennessee Register of Natural Areas, under the Natural Areas Preservation Act in 1980. The Society of American Foresters included the natural area on its national Natural Areas Register in 1985, one of only six such white pine/hemlock areas in the country. Wright Forest Natural Area is located on a private farm in Shady Valley, Johnson County.